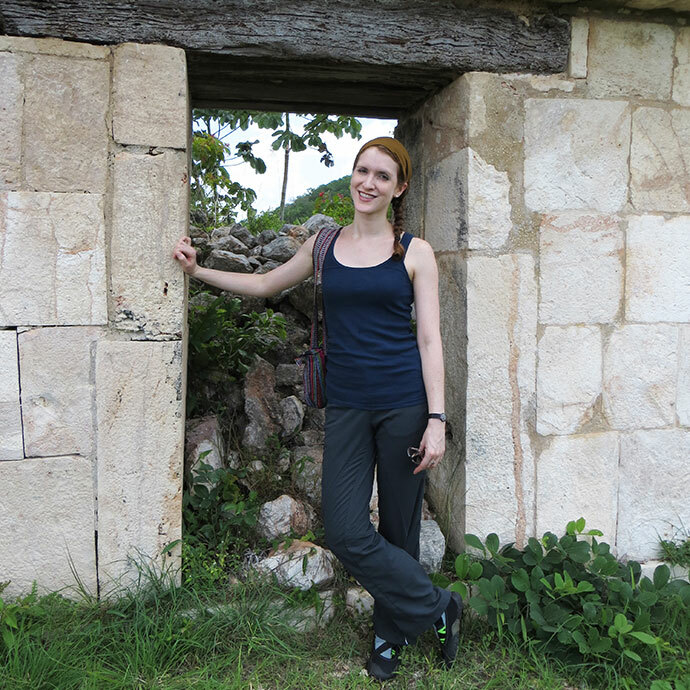 Mary Katherine Scott, Visiting Assistant Professor, holds a Ph.D. in World Art Studies with a specialization in Latin American Art from the Sainsbury Research Unit for the Arts of Africa, Oceania and the America, University of East Anglia (U.K.). Her previous degrees in Fine Arts (BFA, University of Wyoming), Spanish (M.A., University of Wyoming), Art History (M.A., Northern Illinois University) and Museum Studies (certificate, Northern Illinois University) broadened her training and academic interests in Latin America early on. In particular, she is interested in tourist art production in Mexico, and how tourist arts move through and acquire value within local and international art markets. Her research in virtual reality likewise explores how audiences negotiate the value and authenticity of objects within simulated environments. She has conducted ethnographic fieldwork with Maya artisans in the Puuc region of Yucatán since 2006. This research has resulted in a number of projects, including the internationally traveling exhibition (2009-2011), Crafting Maya Identity: Contemporary Wood Sculptures from the Puuc Region of Yucatán, Mexico. Scott is the author of a number of articles and book chapters dealing with art and identity among contemporary Maya artisans in Yucatán, and in 2012 she served as the guest editor of a special volume of the journal Museum Anthropology focused on collaborative exhibition practices. Through case studies, the volume explored the need to engage communities, and especially indigenous communities, in exhibitions. Currently, Scott teaches a range of interdisciplinary classes in Latin American art and culture at the University of Wyoming.